With classical pear-shaped design, it is well proportioned and exquisite, and from every angle, it can stand our appreciation. Most people in Chaoshan, China like to use Zisha teapot to brew oolong tea. 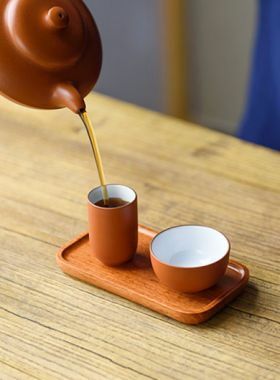 Due to the amount of the tea leaves and their volume after brewing, they need to put the teapot in a big tea bowl, and shower the teapot with boiling water, so that the hot water can preserve heat and stimulate tea aroma. Therefore, in order to ensure the teapot keep balance in the water, a tea maker specially designed a teapot with its spout upwardly and kept in a horizontal line with the opening part of the teapot body and the top of the tea handle, so called “Shui Ping Teapot”. This kind of teapot can keep balance when floating on the water. Pear-shaped Teapot is one of the classical teapot shapes, and the shape of whole pot is made up of arcs, circles and curves. This Pear-shaped Teapot is selected the high-quality Zhu Ni as the raw material and burned under high temperature. 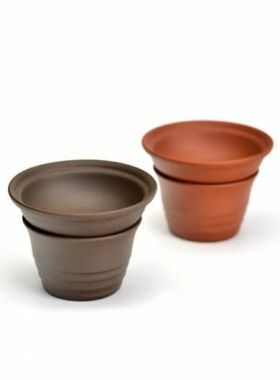 The capacity is 180ml, the design is narrow top and wide bottom and the transition lines are smooth and gentle. The pearl-shaped button stands upright on the top of the lid, which looks very cute. The spout is slightly bent, which forms a graceful included angle with teapot body. 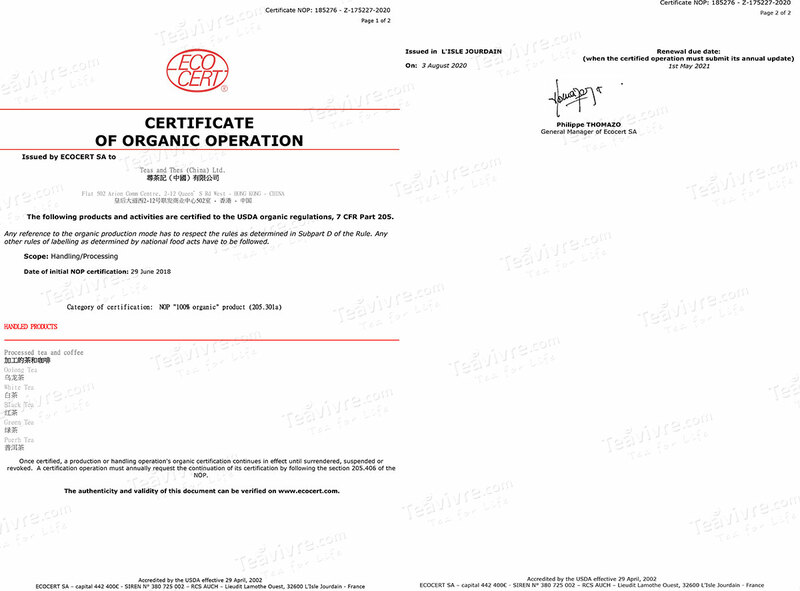 The teapot handle is fine and suitable. 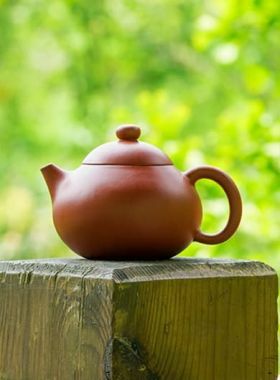 With this kind of teapot in hands, you can feel the exquisite of Zisha teapot. After raised with tea liquid for some times, the texture will be more obvious. 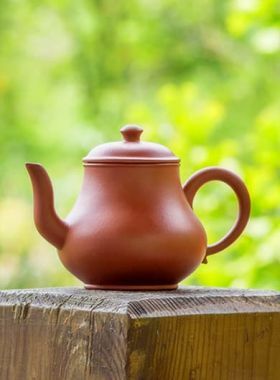 Because of the high iron content, the Zhuni teapot usually appeares reddish brown color, which is an attractive color to many tea lovers. And Zhuni has high contractibility, this made it very difficult to shape the perfect teapot, therefore even many finished products have with some corrugations. However, a well nurtured Yixing teapot will become smoother and glossier as time goes by. The yixing teapot presents distinctive double pore surface covered with tiny corrugations on it, which makes the teapot able to breathe and reserves fragrance of tea. 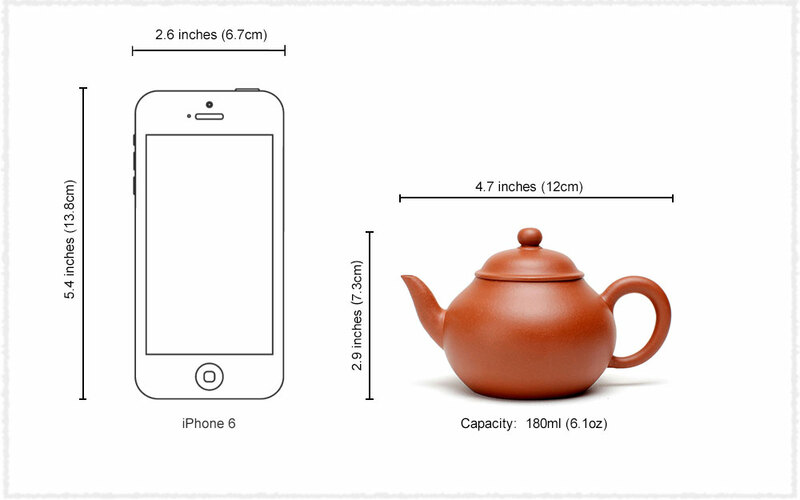 Therefore we recommend brewing one type of tea with one teapot. Note: Warm the teapot with 40℃ - 50℃ water before pouring boiling water promptly into it, especially in cold winter, for Zhuni has high constriction percentage and cannot resist instant temperature change.